Summer and monsoon are probably the worst seasons for those with oily scalps; both of these seasons with their heat and humidity result in increased sweating and excessive sebum production. Due to this, many of us end up either tying our hair up more often or just accepting our fates of having to live with flat, greasy hair. However, there is a better solution – using shampoos that are specifically made for oily hair. There are several brands like L’Oreal, Khadi, and Neutrogena, etc., with shampoos that help oily hair, which makes it hard to choose one. 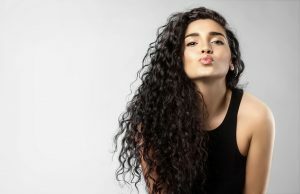 Therefore, in this article, we will explain how can choose the best shampoo for oily hair, and also introduce you to the top 10 best options on the market! Shampoos are the types of products that can be very difficult to choose without using, but keeping the following points in mind will increase the chances of you selecting the right product. While there are people who simply choose shampoos based on what the description on the bottle says, we recommend selecting the more time-consuming route, and checking what sort of ingredients the shampoo contains. There are a few ingredients in particular that you should look for to make sure the shampoo is right for your hair. Shikakai has been used in India for centuries now, and for good reason too. 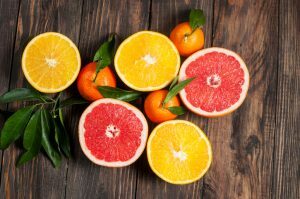 It is rich in vitamin C and antioxidants, and it naturally contains saponins which help create lather, therefore, it is one of the best clarifying ingredients to keep the scalp oil-free and healthy. Aside from making your hair look greasy, oily scalps can often be riddled with oily dandruff and fungal infections. 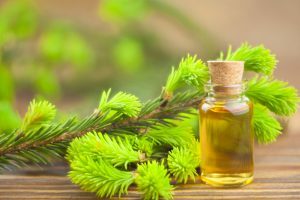 Natural antibacterial ingredients like tea tree oil help soothe the scalp, tackle dandruff, and prevent it from getting itchy. Another major ingredient that helps fight oily scalp dandruff is salicylic acid. 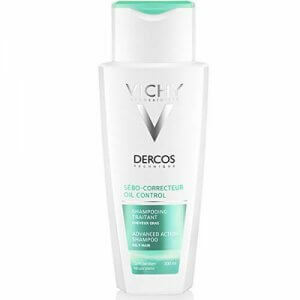 It gets rid of all the dead skin cells on the surface of the scalp to help unclog pores and prevent dandruff. It can be too strong for those with sensitive skin though, so we advise them not to use shampoos with salicylic acid every day. Soap itself is quite an alkaline product, while the pH balance of our hair is naturally slightly acidic. 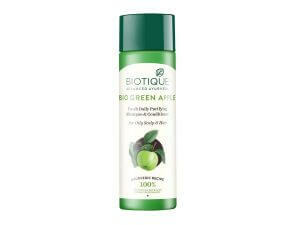 Therefore, adding citric acids to the formula helps make it more suitable for our hair. Additionally, citric acid is great at absorbing excess sebum, so it further aids in keeping the scalp oil-free. Most shampoos that are made for oily scalps and hair tend to contain sulphates because they are one of the best cleansing agents. 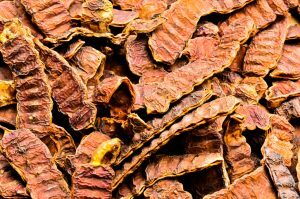 However, they also tend to be quite harsh, and therefore, they might irritate sensitive skin, causing redness and inflammation. Additionally, sulphates are quite drying, so they’re not recommended for those with curly hair either as they would make curly hair more tangled and frizzy. If you have either sensitive skin or curly hair, we recommend checking the ingredients list and choosing sulphate-free clarifying shampoos as they’re much more gentle. We have explained everything that you needed to know, so let us now dive into our list of top 10 best shampoos for oily hair in India. We hope our list will help you find a product that suits your needs! Those with oily scalps that not only makes their fine hair oily but also limp, would love this shampoo. It contains both citric acid and salicylic acid, which work together to bring life back into thin hair and make it appear more voluminous. It is particularly great if you use a lot of dry shampoo as it gets rid of product buildup as well. Although, it is one of the most expensive products on the list, and despite that, the quantity you get is not that much. The consistency of the shampoo is quite runny too, so it’ll run out relatively quickly. Additionally, it does contain sulphates, so it would not suit those with sensitive scalps or curly hair. 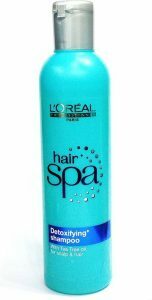 If you live in an area with hard water and need a shampoo that not only works well with hard water but also makes the hair more lustrous, then this is the one for you. It contains vitamin E and salicylic acid, which helps not only remove excess oil and buildup but also keeps the scalp healthier and prevents itchiness. It is great for those with an oily scalp and fine hair with slightly drier ends, but if you have really oily ends as well, then this might not be the best option for you. Furthermore, this shampoo contains both parabens and sulphates, so it would be too harsh and drying for those with sensitive skin or curly hair. Those who need a large size bottle of a silicone-free shampoo that’ll help manage the excess oil on their scalp without drying out the ends of their hair will love this product. 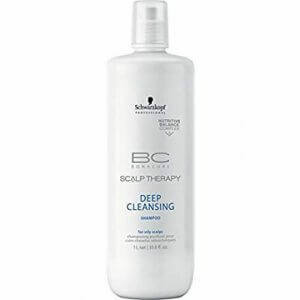 It is especially recommended for those with very oily scalps as it makes the scalp feel really clean and fresh. It also makes the hair feel less heavy and instead adds some bounce to it. The initial cost of this shampoo is quite a bit though, and although you do get a lot of product, if you don’t like it, it would end up being a huge waste. It is also too strong a formula for everyday use, so you should only use it once every week, or even once every fortnight. In addition, it does contain sulphates, so it wouldn’t be right for those with sensitive skin or curly hair. This shampoo is another great option for those who need something that can deal with hard water, and also for those with an oily scalp with drier hair who need something that clarifies without stripping the natural oils from the hair. It is especially recommended for summers, as it contains mint, which gives a cooling and relaxing sensation. If you’re not a fan of minty scents though, then you will probably not enjoy using this product as the smell is really strong. The mint also limits the use to summertime, as those living in North India probably not want to use this during winter. 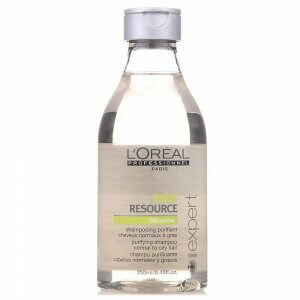 Additionally, it contains sulphates, so if you have a sensitive scalp or curly hair, this isn’t for you. Those looking for a shampoo for very oily hair and scalp, and something that’ll help them fight oily dandruff as well, should go for this one. It contains tea tree oil which helps get rid of dandruff and reduces itchiness as well. Furthermore, you only need a little bit of this shampoo, so it’ll last for quite a while too. 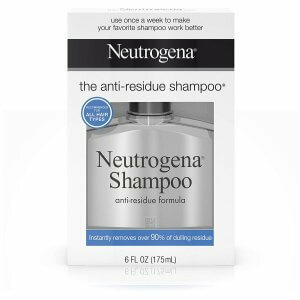 Although, if you have an oily scalp with not so oily hair, this shampoo will not suit you as it’ll end up being too drying for your hair. 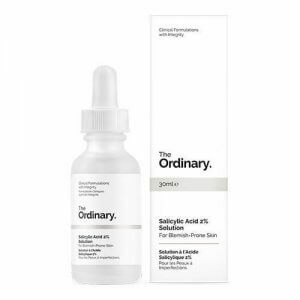 It also contains sulphates, so if you have sensitive skin or curly hair, this won’t be the right one for you either, as it would be too harsh and drying for you too. This paraben-free and silicone-free shampoo is perfect for those who want something that’ll help make their oily hair feel lighter and look more voluminous. It is not too expensive either, especially since a little goes a long way with this. It’s recommended to use this once a week for those with oily hair, and twice for those with very oily hair. While it does contain sulphates, it contains ammonium lauryl sulphate, which is a far less irritating sulphate compared to sodium lauryl sulphate, so this shampoo is less likely to cause problems for sensitive skin types and for those with curly, although we still recommend going for a sulphate-free option if you can. Those looking for a clarifying shampoo that works for both fine hair, as well as thick hair, and removes any product buildup, to make the scalp feel like it can breathe again, will love this product. It contains citric acid to absorb excess sebum, reduces itchiness, and works well with hard water too. It comes in quite a small bottle though, so even though you only need to use it once or twice a week, it won’t last you very long. Additionally, while it works wonderfully for those with really oily scalps and hair, it could be too harsh for those with sensitive skin or curly hair as it does contain sulphates. This clarifying shampoo contains no sulphates, parabens, or silicones, and on top of all that, it is also cruelty-free. It has citric acid to balance the pH level of the hair, and salicylic acid to remove any buildup, so it helps add volume and shine to the hair. Therefore, it is particularly recommended for those with fine, limp hair. It best for those who have both oily hair and an oily scalp, because it contains two strong acids to help cleanse the hair properly. Since it doesn’t contain any sulphates, it can be used by those with sensitive skin or curly hair, as its formula is quite gentle despite being a clarifying shampoo. If you’re looking for a shampoo with natural cleansing agents that are safe for sensitive skin and extremely oily hair, then this is the one for you. It contains shikakai and citric acid, so even though it doesn’t lather too much, it is still really effective at getting rid of excess oil, without being too harsh for sensitive skin types. It doesn’t contain any sulphates either, which makes it even more gentle, and also suitable for those with curly hair. It works especially well for those with thin hair as it adds a slight bounce to the hair and makes it appear less limp. Furthermore, it isn’t too expensive either, and you only need to use a little, so it won’t run out easily. The best shampoo on the market to deal with oily hair, this contains no sulphates or parabens and is recommended for those who need a clarifying shampoo that is gentle enough to be used every day. It helps remove excess oil from the scalp and makes hair much more manageable. In addition to that, it also adds shine to the hair and helps prevent hair fall too. Since it is a shampoo + conditioner type of product, it is most suitable for those with oily roots and dry ends. It is one of the most affordable products on the list as well, so you needn’t break the bank to make improve the condition of your hair. Oily hair problems can be of various kinds and it can be hard to tell which “Oily Hair Shampoo” will be right for your particular issue. The huge number of options on the market makes it even harder to choose, and we might get too lazy to go through each individual product trying to understand whether it’ll be good for us. However, after reading our article, we hope you feel more prepared to tackle the challenge of choosing a shampoo for your specific kind of oily hair. We also hope that our list of top 10 best shampoos for oily hair made it even easier for you to get your hands on one!